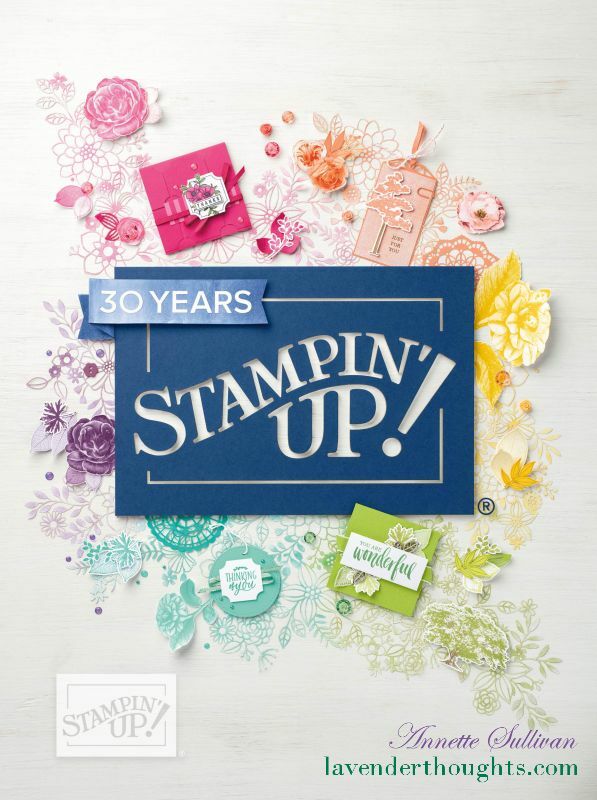 I have used some of my new supplies from the latest Stampin’ Up! catalogues to make my card for this week’s Merry Monday challenge. Here is the sketch. I used a base of Island Indigo and some DSP from the Festival of Prints pack. A piece of Whisper White was put through the Fancy Fan EF. An ornament from the Ornament Keepsakes set was stamped in Island Indigo on Whisper White and cut with the matching Holiday Ornaments Framelit. 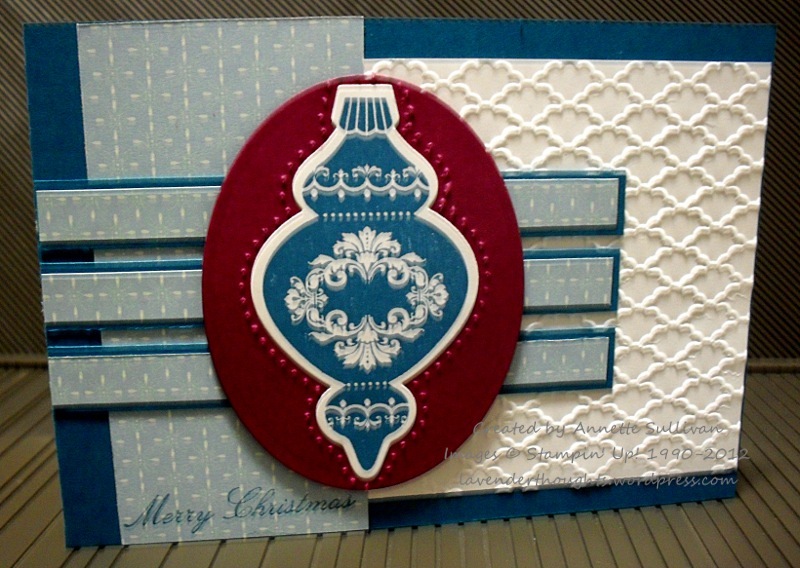 An outline of the ornament was pierced on the oval Rich Razzleberry layer using the Festive Paper Piercing Pack. The ornament was then layered on the Rich Razzleberry and added to the card with dimensionals. The sentiment from Come to Bethlehem was stamped on the DSP with Island Indigo. Don’t you just love these new stamps, embossing folder, Framelits, DSP and Paper Piercing Pack? So much can be done with them. Gorgeous! These deep rich colors are beautiful for Christmas! So glad you could join us this week at Merry Mondays! Very pretty card Annette, the ornament is beautiful. Thank you for joining us for Merry Monday. Oh yes this is very beautiful…my new colours for Christmas? I love it! GORGEOUS! I love how you’ve showcased this Christmas bauble with those gorgeous colours. Thanks for joining us at Merry Monday this week! Now Island Indigo is NOT a color I associate with Christmas or a Christmas card, but I like it! Love the embossing too. Thanks for playing along! I love all these products and you used them beautifully, Annette! Great card! Thanks for sharing it with us at Merry Monday! OMWord, Annette, this is gorgeous! Love the ornament but also love the color combo! Nicely done!